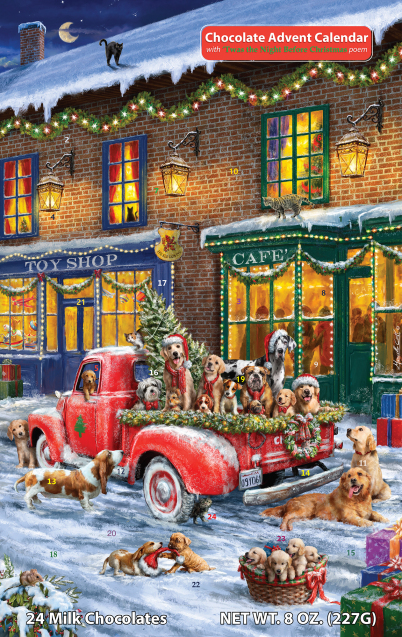 Advent Calendars in this collection, often referred to as Christmas countdown calendars, feature Santa Claus, snowmen, winter scenes, Victorian artwork and other unique styles. Open a window each day to reveal a special picture. Certain designs include envelopes, glitter, holiday poems or other special features as indicated. 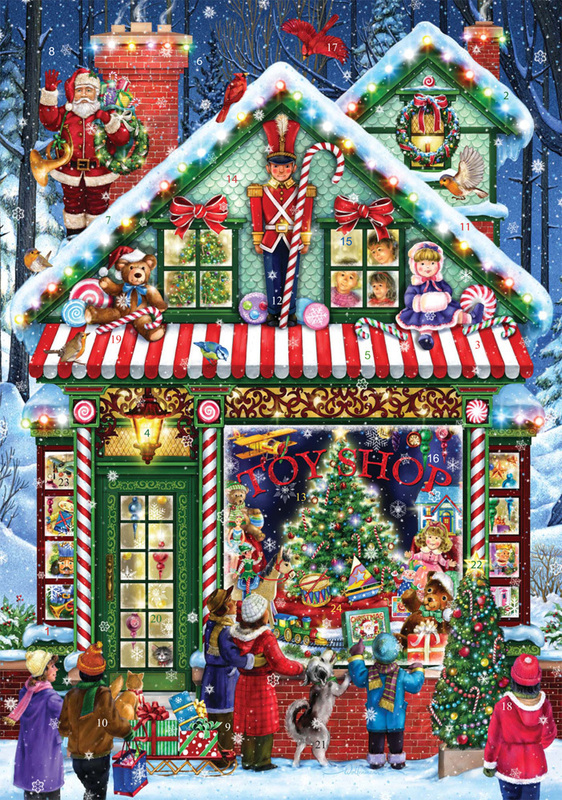 Find fun & whimsical Advent calendars in other styles: Chocolate Advent Calendars, Fabric Advent Calendars, Wooden Advent Calendar, and Sticker Advent Calendars. 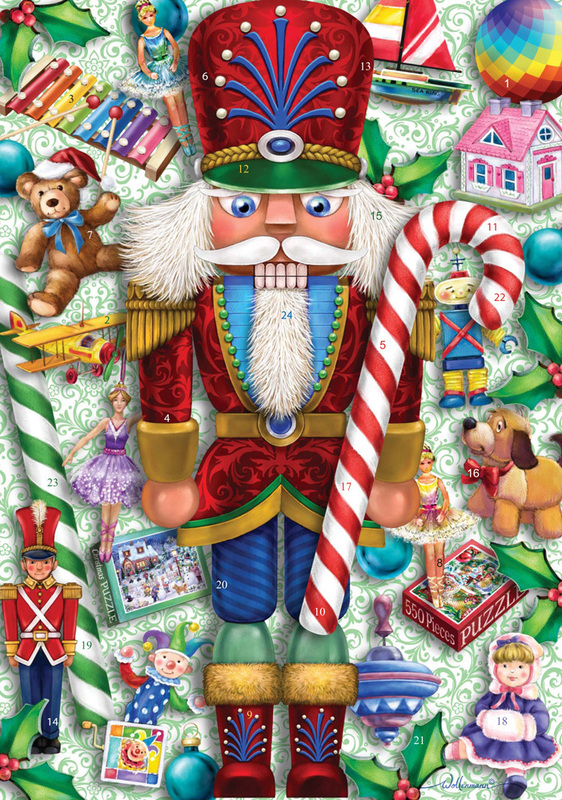 Our collection of fun & whimsical Advent calendars and Countdown to Christmas calendars includes many new designs featuring Santa Claus, Snowmen, Old World themes and more! 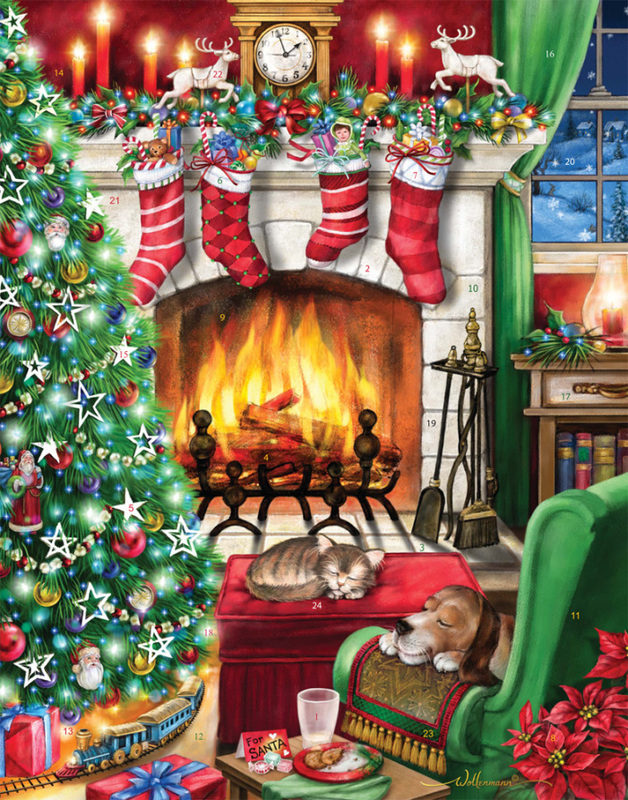 Advent Calendars in this collection feature Santa Claus, snowmen, winter scenes, Victorian artwork and other unique styles. Open a window each day to reveal a special picture. Certain designs include envelopes, glitter, holiday poems or other special features as indicated. 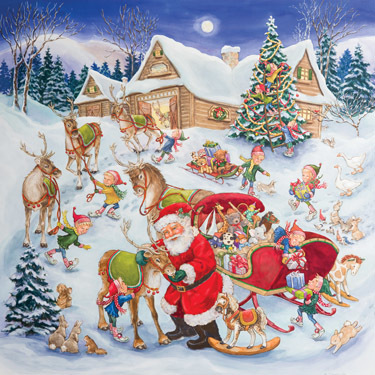 Advent Calendars in this collection measure up to 12 1/4"x15 1/4" and feature Santa Claus, snowmen, winter scenes, Victorian artwork and other unique styles. Open a window each day to reveal a special picture. 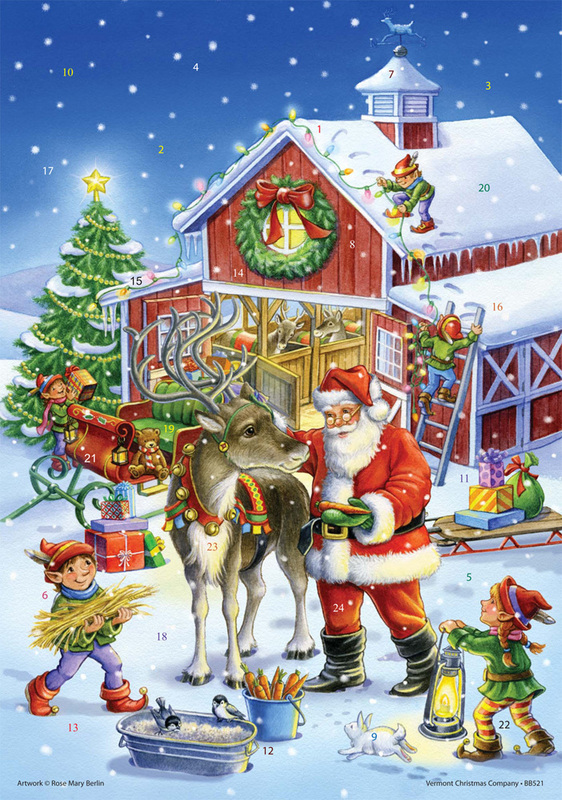 Certain designs include envelopes, glitter, holiday poems or other special features as indicated. 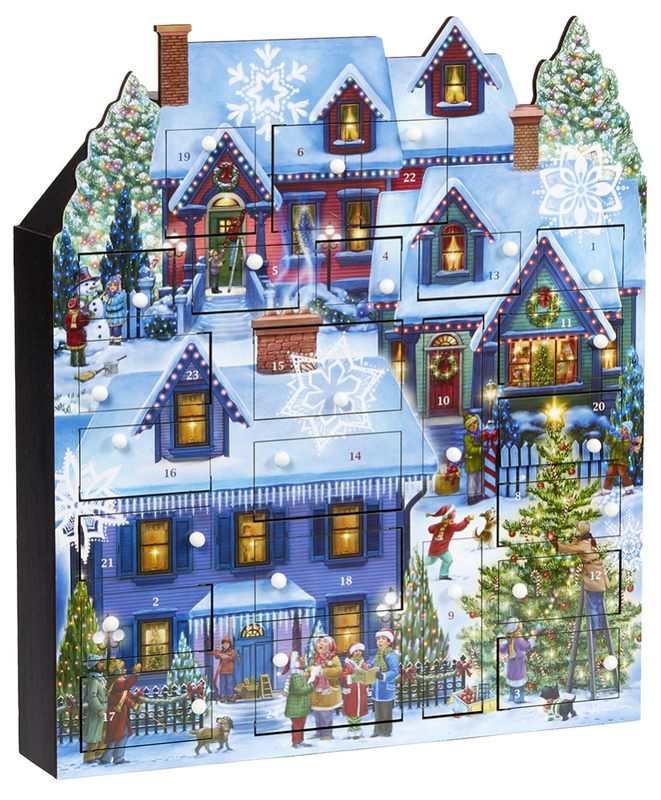 The large size and unique shapes make these Advent calendar the highlight of any room they are displayed in! 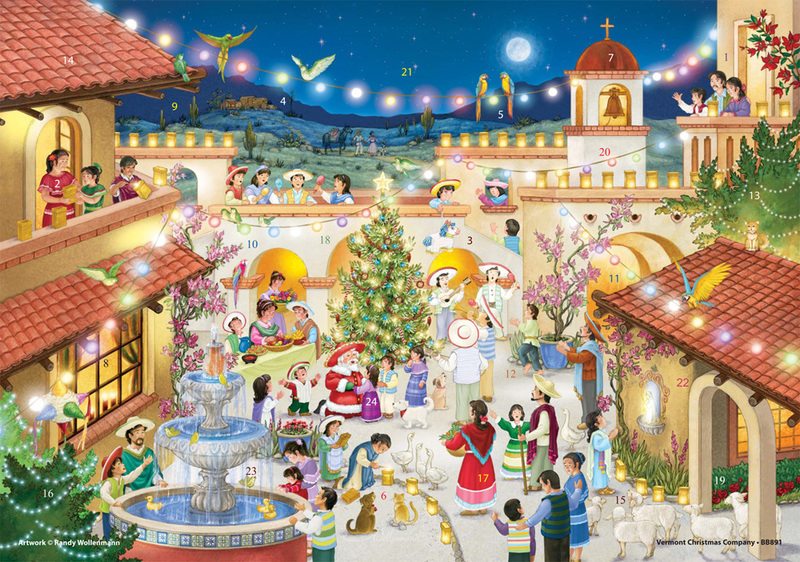 Open a window each day to reveal a special picture and a verse from 'Twas the Night Before Christmas. Glitter on the front of these calendars really makes them sparkle! 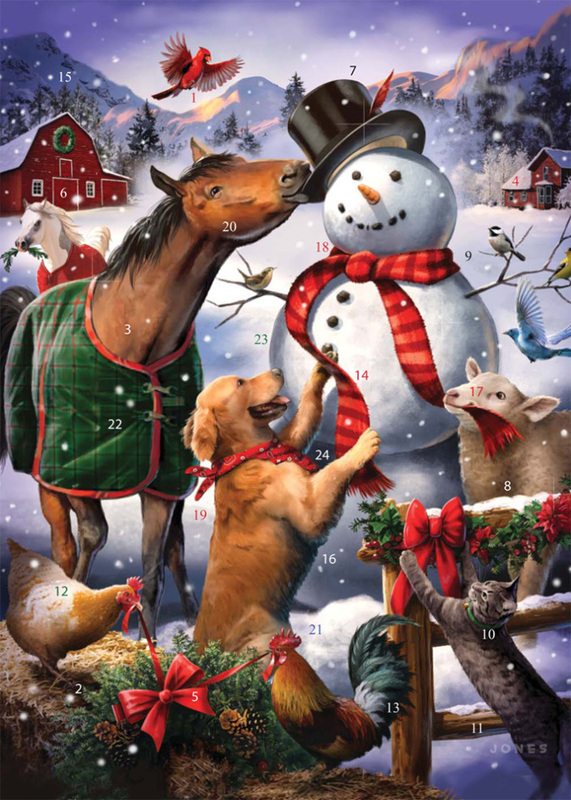 Advent Calendars in this collection measure up to 9 1/2"x13 1/2" and include an envelope for convenient mailing. Open a window each day to reveal a special picture. Certain designs include glitter on the front and Twas the Night... poem (as indicated). Find designs in this category featuring unique contemporary artwork and themes. Open a window each day to reveal a special picture. Advent windows are on the front and each card is blank inside. Cards measure 5"x7" when folded. A red envelope is included with each design. Great for early Christmas cards! Open a window each day to reveal a special picture. These calendars sit easily on any table top or flat surface and make a great 3-D effect. Many designs include glitter, as indicated. 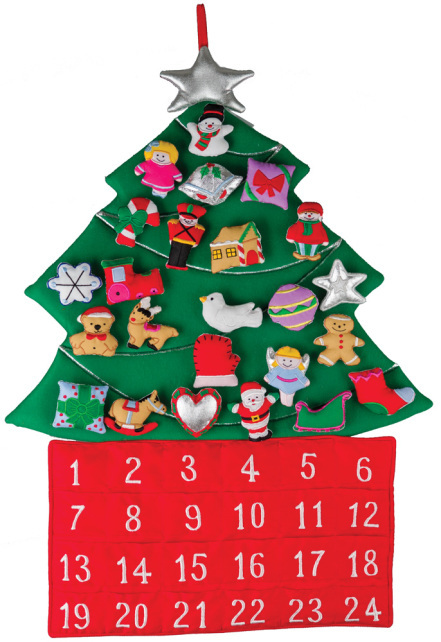 A unique selection of high quality fabric Advent calendars. Quality craftsmanship ensure these calendars can be used year after year. High quality wooden Advent calendars that can be used year after year and are often passed on from one generation to the next. Rekindle an old family tradition or start a new one!